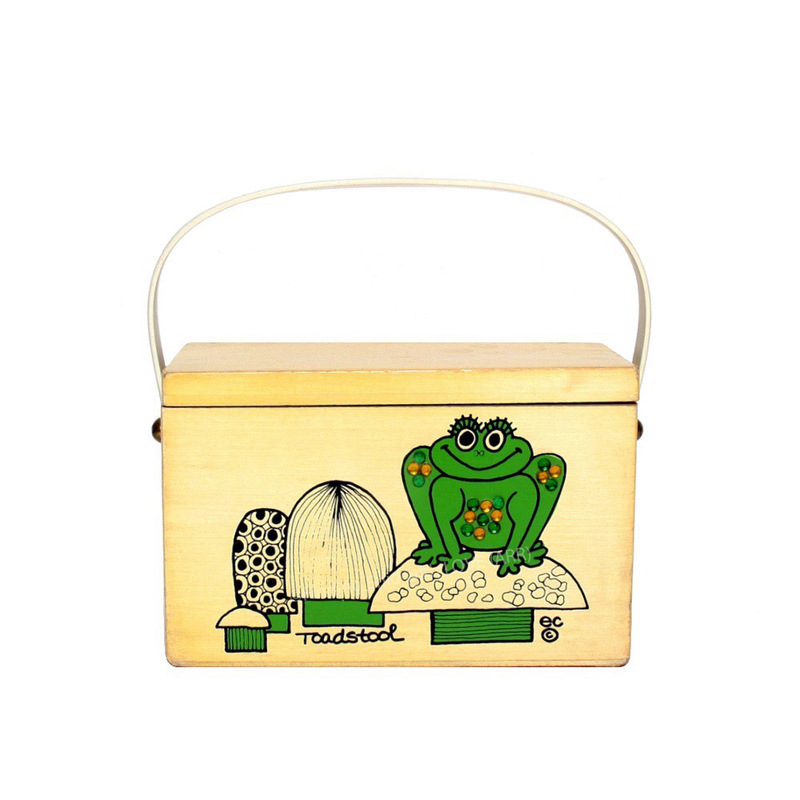 Vintage top-opening solid-wood box purse screen printed with a colorful, smiling toad/frog perched on one of four stylized toadstools/mushrooms. Toad's chest and legs are decorated with faux stones in Emerald and orange. "Toadstool" is screen printed in script in the lower left corner. Reg. no. GP65660; 01/15/1970; DHW; "Frog sitting on toadstool"